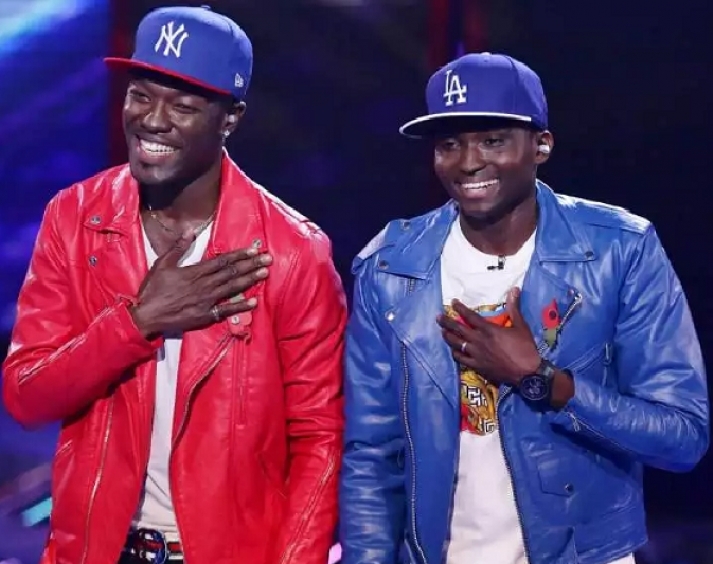 UK based Ghanaian artistes, Reggie and Bollie, who came second at the last edition of British Got Talent says they might not have hit a fortune with their performance at the show but they have made good money to make life comfortable for them and their families. The duo who were in Ghana to shoot the video of their debut single, New Girl made disclosed this when Showbiz asked if placing second in the talent hunt made them rich in an interview last Friday. “Well, we won’t say that we are rich because what we are earning could be peanuts for someone else. But at least, we are comfortable enough to provide for our respective families and give them the comfort that every husband would want for his family and we thank God for that” Reggie, who spoke on behalf of the group said. According to him, although they are enjoying international recognition and fame, “they are yet to start the real game. “What have we achieved that thousands of artistes haven’t already done yet? Yes, we are humbled by how far we have come but we are not complacent. ‘We have just started the journey and allowing fame get into our heads will be a disaster. We are rather working hard to reach greater heights. However, it feels great to be famous” Reggie added. The road to success started last year when the two artistes, after several years of struggling to find their feet in the music business in the UK, they took a bold decision to audition at the music talent hunt. “No one knows your story better than you and how you want to pursue your dream. As two young men who are very talented, we just needed an opportunity to showcase what we had for the world and we took a step in the right direction when we auditioned for British Got Talent,” Reggie said. As part of the “juicy package” the duo is currently enjoying is being signed on to popular British music mogul, Simon Cowell’s Syco Records label. That isn’t all, they are also under the management of James Grant group, a leading provider of management and professional services for social and music talent in the UK. Reggie and Bollie have been part of the Ghanaian music industry story and it was not surprising when the duo, who gave Ghanaians hits such as Adoma and Virgin respectively showed appreciation to the new crop of music talents in the system now. “Ghanaian artistes are rocking and as a country, we must commit to promote our own. We must be proud to back these artistes who sell the country beyond the shores through their music”, he added. Reggie and Bollie came into the country last Tuesday to shoot the music video of their first single after British Got Talent last year. The song is expected to be released on Friday, May 13.